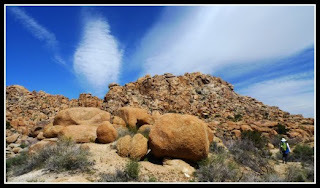 What's New at Spin and Margies Desert Hideaway: The Warm Weather is Here-It's Still Great For Hiking-In the Early Morning and Evening. The Warm Weather is Here-It's Still Great For Hiking-In the Early Morning and Evening. Your 'Recipe For Success': Get up early, about 6 a.m. and head into the Park and hike for a couple of hours before breakfast (We get up early and ride our bikes for 2 hours before breakfast. There's no one around, it's like having the Park all to yourself!). During the heat of the day take it easy in our 'cooled' suites and cabin. Watch a movie, read a book, take a nap. 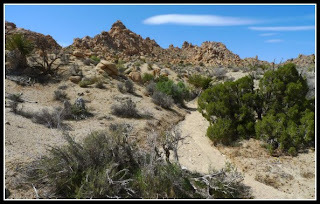 Then, around five in the evening, head out for another hike before dinner. You could call this being on 'mediterranean time', it really stretches your day and you get to experience the desert at the best times of day. Remember, the Park is open all night, so go in for a night bike ride or simply a drive through the Park and look at the stars from the parking area at Ryan Mountain. 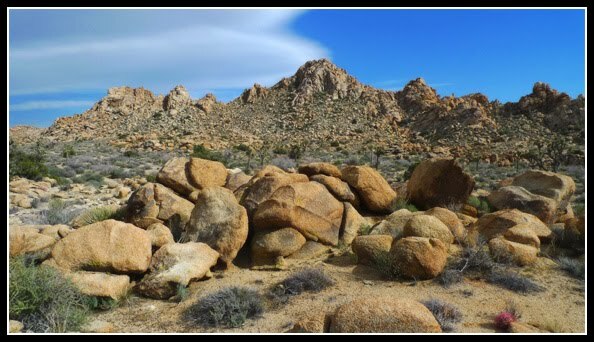 Have fun and don't let the heat keep you from experiencing the beauty of Joshua Tree National Park.